There is impressive news for all those contenders who are keenly seeking for the Government job in Madhya Pradesh Professional Examination Board. Here, in this article, we are going to describe all the elaborated information regarding the MPPEB Naib Tehsildar Recruitment 2018 in the below section of the posts. Interested aspirants may read this article with proper attention & grasp all the details from here. Contenders can apply for the MP Vyapam Naib Tehsildar Vacancy 2018 through the online mode from the official web portal of the Madhya Pradesh Professional Examination Board i.e. www.vyapam.nic.in. Aspirants can check our careerjobs360 official web portal on regular basis & get all the latest news from here. The Madhya Pradesh Professional Examination Board has recently announced the official notification for MP Vyapam Notification 2018 for hiring eligible & skilled aspirants for filling up 169 post of Naib Tehsildar in the MPPEB Department. Job Seekers who are seeking for the newest Government Job in Madhya Pradesh Professional Examination Board then they don’t miss this opportunity & may apply online for the MPPEB Naib Tehsildar Recruitment 2018 by filling online application forms from the official web portal of the Madhya Pradesh Professional Examination Board. Aspirants may submit their online application form on or before the end date which is 18th June 2018. Contenders may check the details regarding the MP Vyapam Jobs 2018 such as age criteria, academic qualification, application fee, salary scale, selection needs etc from the below post before applying for the post. 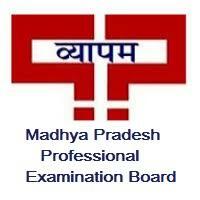 Madhya Pradesh Professional Examination Board commonly called as Vyapam is a professional examination board of MP, India. It organizes various tests for admission to professional courses & streams. It is the biggest examination organizing body of MP & comes directly under the Directorate of Technical Education (Govt. of MP). The MP VYAPAM is a self-financed, autonomous incorporated body of State Govt. Madhya Pradesh Professional Examination Board has invited the application forms from the eligible and efficient contenders for filling 169 Naib Tehsildar Posts in the department. Aspirants who are going to apply for the vacancy must read out the official advertisement of the vacancy before applying for the given vacancy. If you satisfy all the given eligibility needs then you may submit your application form on or before the end date. Academic Qualification: Willing candidates must have completed Graduated and passed minimum 1-year computer Diploma/ Certificate from any reputed or authorized University/institutes. For more details, contenders can check the official advertisement of the vacancy. Age relaxation will be given to the reserved category according to the government rules & regulations. General/OBC category need to pay Rs. 500/- as application form fee. SC/ST categories need to pay Rs. 250/- as application form fee. Selection Criteria: Selection of the contenders will be based on their performance in the written examination & personal interview. How to Apply for MP Vyapam Naib Tehsildar Recruitment 2018? First of all, contenders need to visit the official web portal of Madhya Pradesh Professional Examination Board i.e. vyapam.nic.in. Then, go to the homepage and find out the MP Vyapam Naib Tehsildar Recruitment 2018 Notification link. Then open the advertisement in the next web page. Then, you can download the official advertisement and read all the instructions very carefully before applying for the post. After that registered yourself with valid email ID & contact no. Then you can Fill the application form with all the correct details. Attach all the required certificates with the application form. Upload the signature and passport size photograph on the form. Then check the filled application form. After that, hit on submit tab button. Candidates must take the printout copy of the application form.